We are finally on the road again! 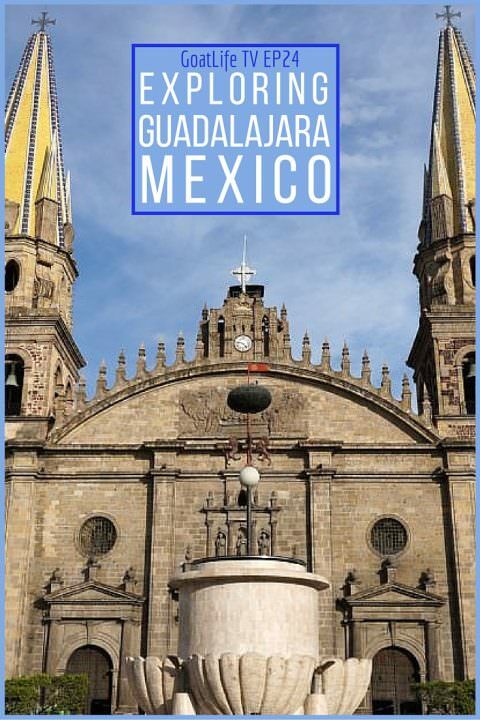 In this week’s episode we arrive in Guadalajara after living in San Pancho for 2 months. This old colonial Spanish city is set in Mexico’s Western Highlands and it is absolutely stunning. Come with us on a tour around the city to see some beautiful historical sites and buildings! That Downed Sandwich looks righteous! Well done guys! It also looks SO chilly there but if you’re heading into the highlands I can get why you’d be chilling, literally. I for one am enjoying the change up here in NJ, even if the temp dropped to 3 F the other day 😉 No worries though; we have a 4 month Jimbaran, Bali house sit coming up on Feb 1. I loved the video Goats and Kelli was noting how much she loved it too. She noted such a great production value and I agree! Ya, sometimes it’s nice to change it up and put on some warmer clothes 🙂 We’re not too concerned either as we’re heading south again in a few days! I’ve been to all of those places, but I think I managed to avoid the dirt coffee. 🙂 Now I’m hungry for tortas ahogadas! haha, lucky you!! It was so gnarly. mmm, that sandwich is so good.